The house on the left, on 95th Avenue in South Richmond Hill, had 43 complaints made against it in 2014. The status of the complaints were not clear and attempts to reach the owners were unsuccessful. NEW YORK CITY — A Queens neighborhood is the king of illegal curb cut complaints. South Richmond Hill logged more than 200 complaints of illegal curb cuts or driveways, double the amount from last year, and far higher than any other neighborhood in New York, according to an analysis of 311 data. Illegal curb cuts often arise in neighborhoods far from Manhattan where many homeowners have cars. Rather than trying to find street parking every day, some residents opt to cut the curb, remove lawns and create their own driveway — without getting permission from the city. Brooklyn residents recorded the highest number of complaints this year, with 822 — nearly 10 percent of them logged in Bath Beach and Bensonhurst. Queens, which has about 300,000 fewer residents than Brooklyn, came in as a close second citywide, with 760 complaints. 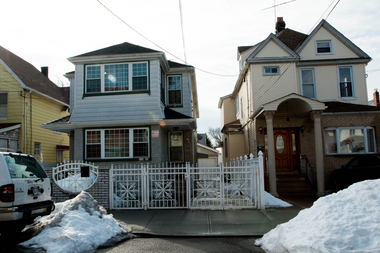 One property on 95th Avenue racked up 43 complaints made against it in 2014, one of the most in the borough. The status of those complaints was not clear. Some 141 complaints were filed in the Bronx, 109 in Staten Island and a mere 30 in all of Manhattan. No more than six complaints were reported in a single Manhattan neighborhood. Foes of illegal curb cuts say they unfairly reduce street parking and become ugly eyesores, affecting a neighborhood’s quality of life. Residents say that illegal curb cuts are far more prevalent in Brooklyn and Queens because of a lack of enforcement from the Department of Buildings. The spokesman said the agency tries to respond to an illegal curb cut complaint within 90 working days. If a violation is issued, fines start at $200 and can reach $2,500. It was not clear how many violations were issued. “What I really want to know is what happens after a complaint. What happens?” said Joan Bachert, a program director at the Richmond Hill Block Association. Bachert said her car was towed after she parked in front of a driveway that she insists was built illegally. She paid close to $300 in fines. Waisman urges residents to dial 311.